Introduction. 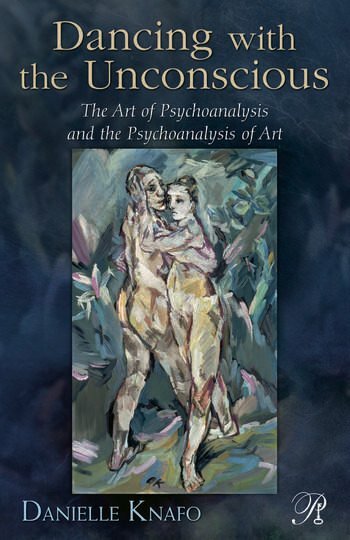 Part I: The Art of Psychoanalysis. Dancing with the Unconscious: The Art of Psychoanalysis. One Step Back, Two Steps Forward: Regression in the Service of Art and Psychoanalysis. The Senses Grow Skilled in their Craving: Thoughts on Creativity and Substance Abuse. Creative Transformations of Trauma: Private Pain in the Public Domain and the Clinical Setting. Alone Together: Solitude and the Creative Encounter in Art and Psychoanalysis. Part II: The Psychoanalysis of Art. Dreams of Genius: Sigmund Freud and C. G. Jung. Egon Schiele: A Self in Creation. At the Limits of the Primal Scene: Revisiting Blue Velvet. Ana Mendieta: Goddess in Exile. Bruno Schulz: Desire's Impossible Object. Danielle Knafo is a Professor in the Clinical Psychology Doctoral Program at Long Island University and an Adjunct Clinical Professor and Supervisor at New York University’s Program for Psychotherapy and Psychoanalysis. She has written and lectured extensively on psychoanalysis and creativity, trauma, and gender. Her books include In Her Own Image (2009) and Unconscious Fantasies and the Relational World (2006, with Kenneth Feiner). She maintains a private practice in Great Neck and New York.